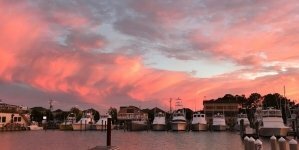 I wanted to share some easy ways to get involved in the local Ocean City Maryland art world AND do good for the community too! Here at the Ocean City Center for the Arts we make fundraising fun! Enjoy a stress-free art experience and unleash your inner artist all while raising money for your charity or organization. The charity must be a registered nonprofit and you can register a minimum of 10 people and a maximum of 25. Our instructor will guide your group step-by-step as you create a masterpiece— no experience necessary. 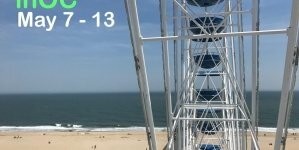 Make up to $500 for your charity and support the arts in the Ocean City MD area. 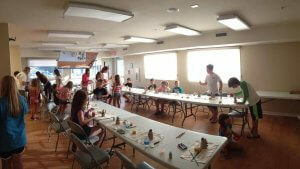 We offer painting or pottery classes. For a paint party, bring your own beverage & snacks. We will supply the rest. Paints, brushes, canvases, aprons, easels, and an artist to guide you. Same goes for our pottery party; Bring your own beverage & snacks and we will supply the rest. Clay, tools, aprons, and an artist to guide you. 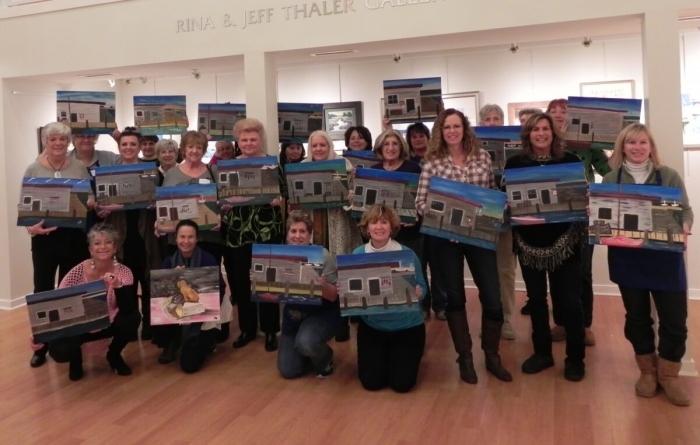 You can call the Ocean City Center for the Arts at 410-524-9433 to set up a creative fundraiser today. We have recently had community groups plan fundraisers with us including the American Cancer Society, Peninsula Regional Medical Center, and People’s Place. Pottery fundraiser with Delaware By The Sea Womenade raising money for People’s Place 2. 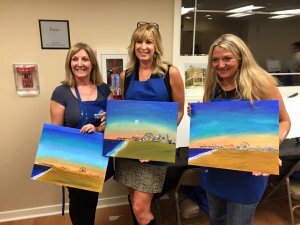 Brushes & Bubbly Paint Night raising money for the American Cancer Society. Painting Party for Peninsula Regional Medical Center. Here’s another awesome way to get involved. If you are interested in teaching any kind of class at our facility, our Education Coordinator Katrin Huber is looking for instructors for Spring and Summer of 2017. As you may know, we offer classes of all kinds including painting, drawing, writing, mixed media, beading, yoga, pottery, multi-day workshops and even children’s classes. 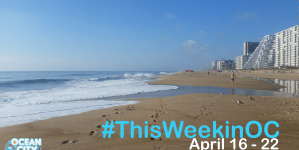 Please call Katrin at 410-524-9433 or send her an e-mail at katrin@artleagueofoceancity.org. Busy at work during a children’s pottery class. We have not one, but TWO wonderful opportunities coming up for young artists to display their work at the Ocean City Center for the Arts! The Shirley Hall Memorial Youth Art Show opens First Friday, March 3 from 5-7pm and continues thru March 4 – 5 from 11am-4pm. For over 20 years, the Art League of Ocean City MD has organized and presented a youth art show in cooperation with Worcester County Schools. 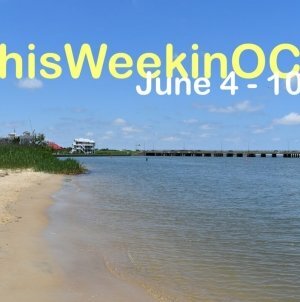 The purpose of this event is to promote creativity and allow the middle and high school students of Worcester County to present their artwork in a professional setting at the Ocean City Center for the Arts. Cash prizes are awarded to the students. This is a great way to support arts education in our schools. The Shirley Hall Memorial Youth Art Show promotes creativity and allows the middle and high school students of Worcester County to present their artwork in a professional setting. Another opportunity to get creative and spread awareness of Manga and Anime as a true art form is the Manga and Anime Youth Art Show. Students will showcase their artwork beginning Friday April 7 from 5-7pm thru Saturday – Sunday April 8 – 9 from 11am-4pm. The show is open to students in middle, high school, and higher education in Worcester, Wicomico, and Sussex Counties. Students may submit work independently or through school. Cash prizes will be awarded on the basis of creativity, originality, and artistic merit. To confirm participation or for questions, email Gallery Manager Katie Brown at katie@artleagueofoceancity.org or 410-524-9433. 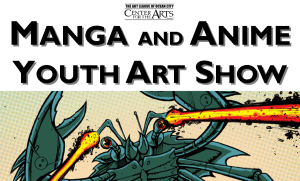 The Manga and Anime Youth Art Show open to students in middle, high school, and higher education in Worcester, Wicomico, and Sussex Counties. 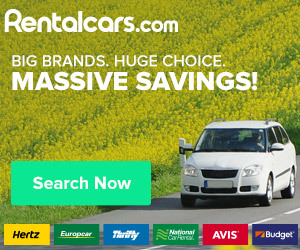 If you have any questions, don’t hesitate to call us at 410-524-9433! Congratulations to winners of the Ocean City/Berlin Optimists High School Art Contest!